MV defense and timely shooting turns the tables on Mashpee. 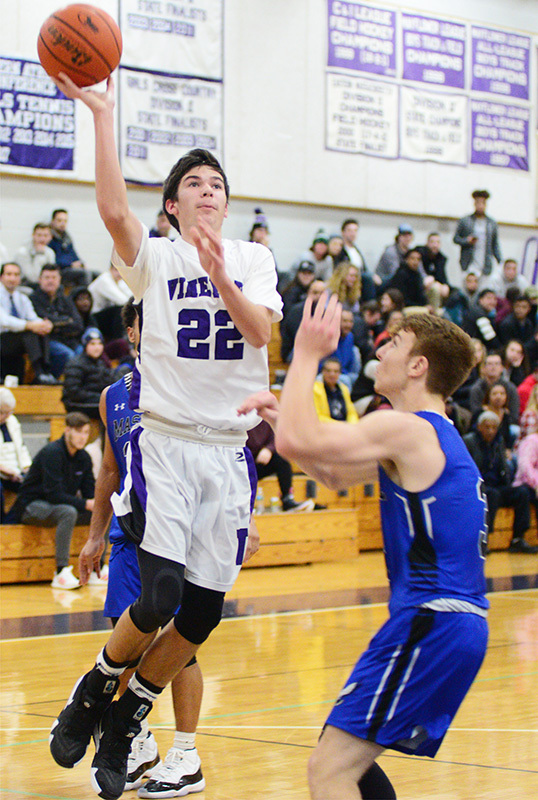 Martha’s Vineyard and Mashpee played one heckuva boys basketball game Friday night at the Sancy Pachico Gym in Oak Bluffs. 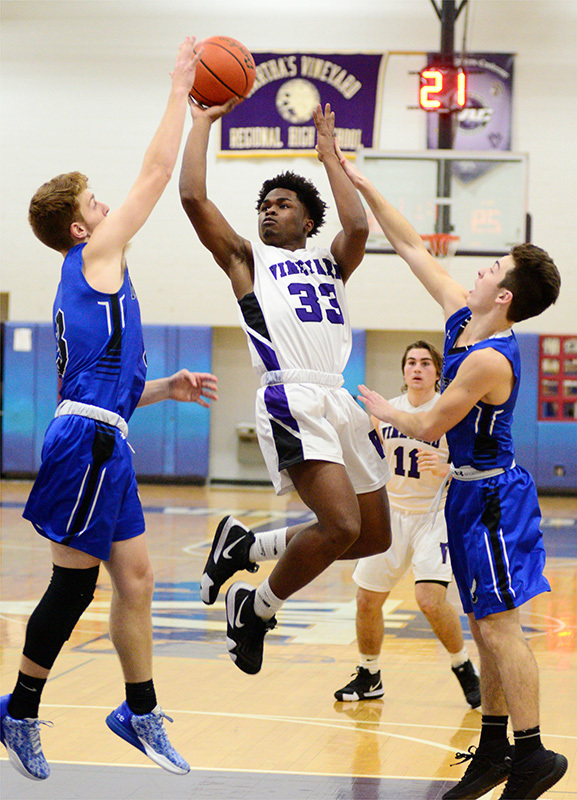 Feeding off the energy from a boisterous home crowd, the Vineyarders gave a full 32-minute effort, especially on defense, to gut out a 64-58 win and even their record at 2-2. 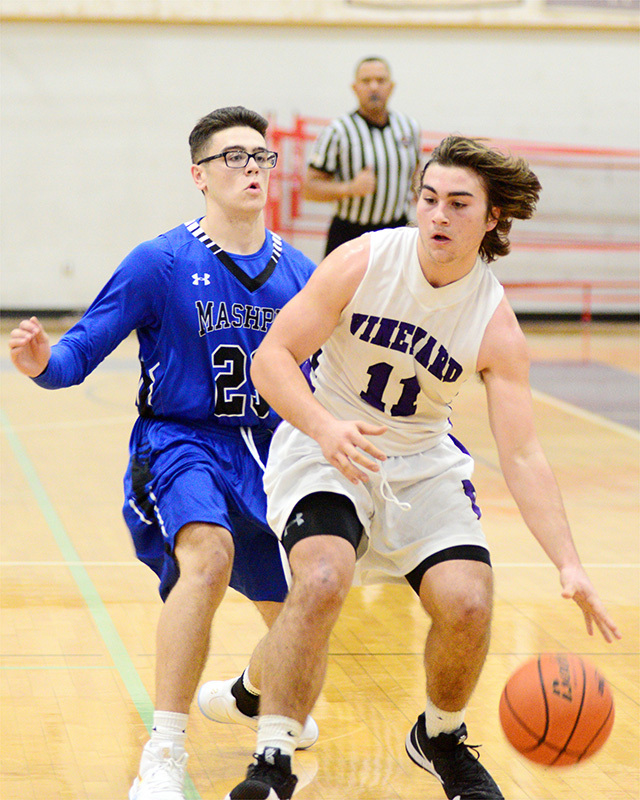 Mashpee led for three quarters plus, with their biggest lead 10 points, but the Vineyarders stayed within striking distance and turned the game with a 16-5 run in the final period. With MV trailing 46-43, Jared Regan sank a long two-pointer. 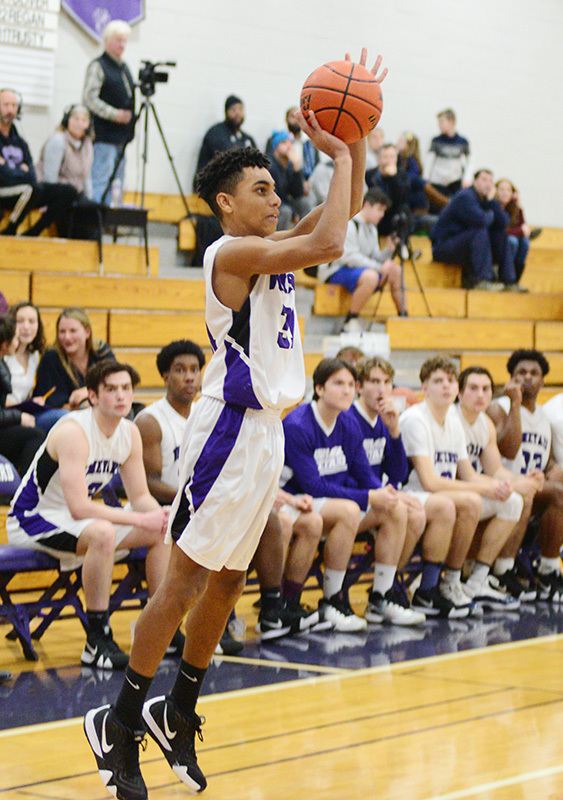 Devaun Ford, the leading scorer in Mashpee hoops history, quieted the crowd with a three-pointer but Jared drained a three to tie the score at 48-48. Ford added a free throw to restore Mashpee’s lead. It would be their last. Jeremy Regan popped in a three to finally put the Vineyarders in front at 51-49. Ford tied the score but Mike Trusty followed with back to back treys and Rammon Dos Santos hit a turnaround jumper in the paint to give the Vineyarders a 59-51 lead. 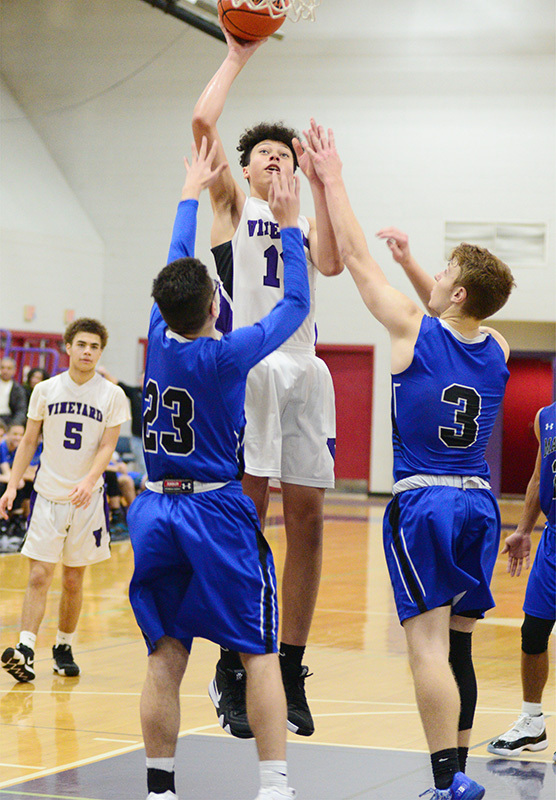 Down the stretch, the Vineyard defense swarmed Ford under the basket and Dos Santos came up with a big block and stole an inbounds pass. With time running out, the Falcons started fouling and the Vineyarders put the game away from the free-throw line, with Dylan Dyke going 2 for 2 and Jared Regan 2 of 3. 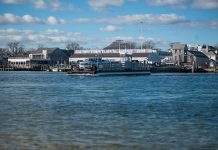 Devaun Ford led all scorers with 29 points and Devon Hughes added 13 more for Mashpee. 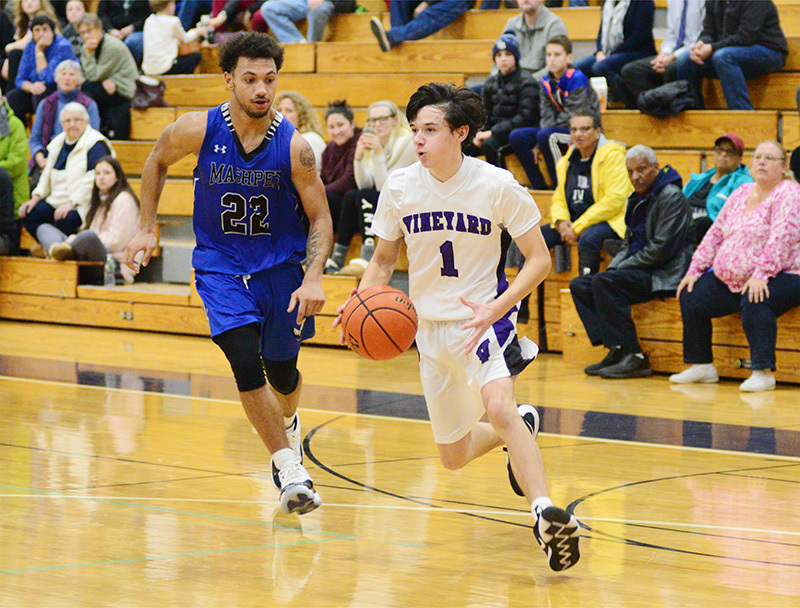 Mike Trusty scored 17 for the Vineyarders, followed by Jared Regan (15), Aidan Araujo (10), Rammon Dos Santos (9), Dylan Dyke (8), Jeremy Regan (3) and Matt Morris (2).